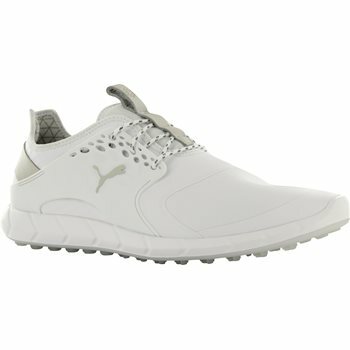 The Puma Ignite PWRSport Pro spikeless golf shoe offers a stylish look, comfort, support and exceptional grip. 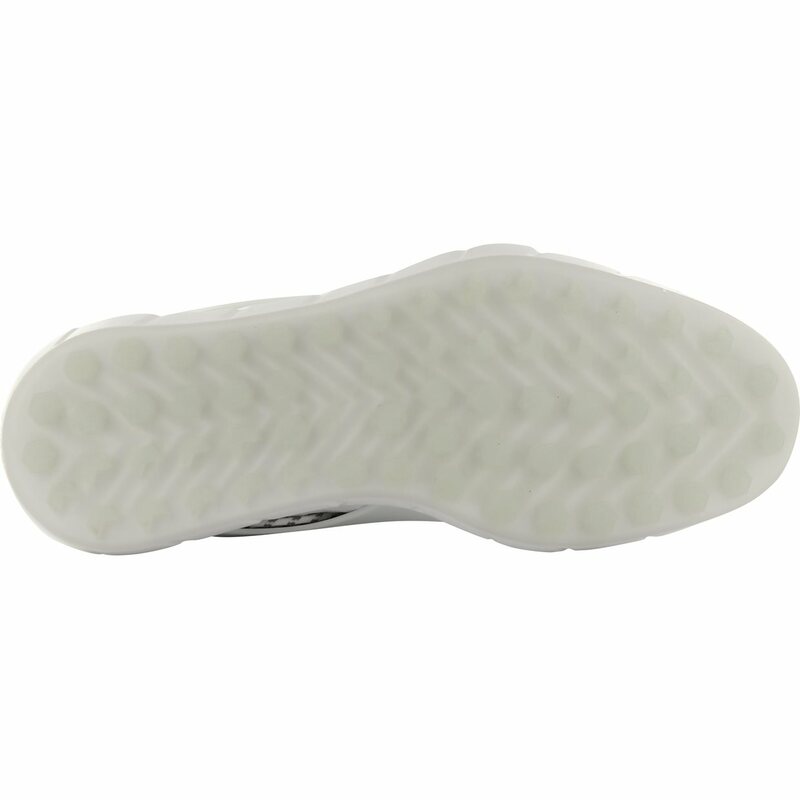 This sporty sneaker features grip-zone traction that uses 39 strategically placed hexagons to provide traction in multiple directions and 24 chevron shaped lugs that increase where needed. 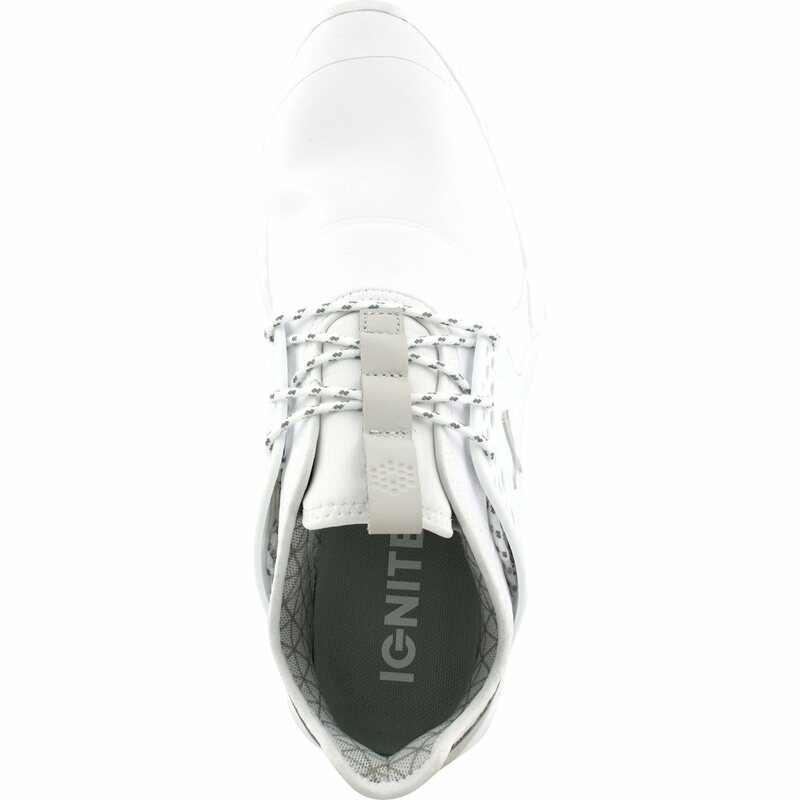 Comfort features of the shoe include a premium microfiber upper; a molded comfort insole; an epic-sport anatomical shape last that provides ample forefoot volume; and a revolutionary and proprietary ignite midsole foam that provides energy return, stable cushioning, and superior step-in comfort. In addition, the PWRSport Pro features a TPU PWRFrame that is strategically placed in high stress areas for lightweight support and a TPU PWRCage that offers support and stability throughout every golf swing.